In 2009, Alicia Grande, CEO and founder of Grande Naturals, LLC discovered GrandeLASH-MD, a unique eyelash & eyebrow enhancing formula to promote lush & longer looking lashes and brows in just weeks. GrandeLASH-MD is a fast growing brand sold exclusively in salons and spas here in the US and globally. 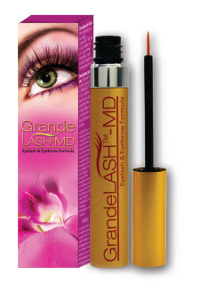 Grande Naturals’ product line has grown to include the GrandeHAIR System for thicker, fuller, healthier hair and Grande MASCARA—Lash Boosting Formula, an exclusive peptide mascara which provides instant extreme volume & length and helps maintain the effects of GrandeLASH-MD, and a complete spa skincare line. An exciting fourth quarter 2013 is planned, as Grande Naturals will launch the Harry J Makeup line, including two eye makeup palettes—Natural not Naked & Flash in the Dark. The company offers a 90 day money back guarantee on all its products.